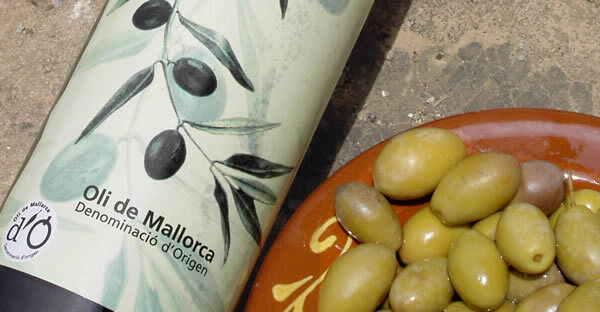 The Protected Designation of origin "Denominación de Origen Oli de Mallorca" establishes since 2002, the quality and origin of the olive oil produced in Majorca. The nature of the olive trees, the special climate with plenty of rain and sun, as well as the characteristic terrain and soil conditions give the olive oil from Majorca its own special characteristics. In order to preserve and recognise this peculiarity, the Designation of origin was created. The olive oils with this seal will be sensory, chemically and physically tested by independent laboratories. The numbered label and logo on the bottle make sure that the oil has passed the prescribed quality control. Only extra virgin olive oil from Majorca, made in mechanical processes from the olive varieties Arbequinia, Mallorquina or Picual is awarded with the title. Some of the most important chemical properties are a requirement for the Designation of origin: Acidity not more than 0.8% and less than 0.1% impurities. Acidity does not mean a "sour" taste, it refers to the amount of free fatty acids. A value below 0.8 is excellent.